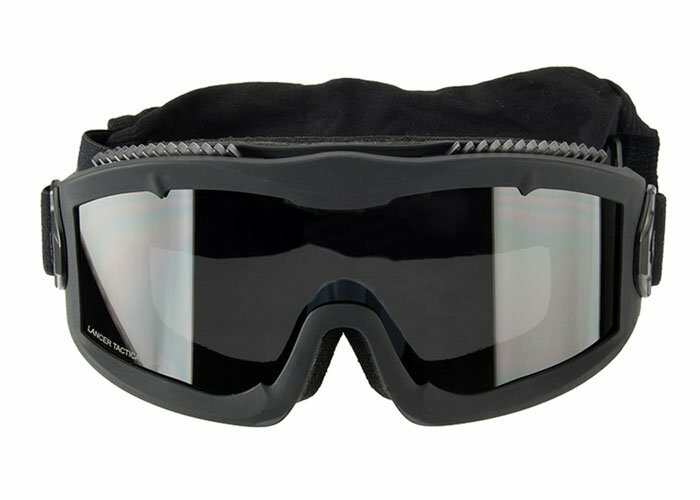 The Lancer Tactical Aero Protective Tan Airsoft Goggles are an excellent set of full seal goggles, these goggles give you the widest possible visual range while also giving you maximum protection. The lenses are ANSI Z87.1 rated dual pane lenses and block UVA UVB UVC and HEV radiation, keeping your eyes protected from visible and invisible forces. This set comes with both a smoke, clear, and yellow lens. Does it fit over glasses? It probably would not fit over glasses.